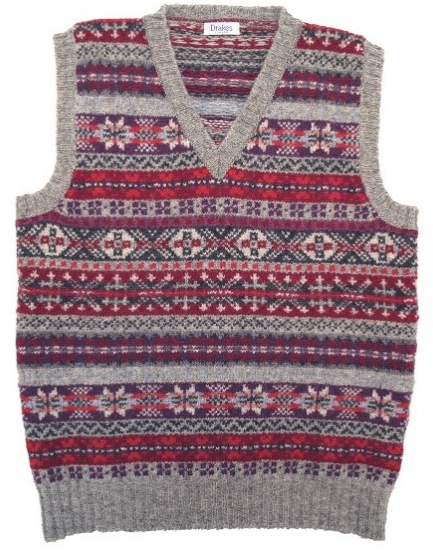 My Fair Isle was bought in Hackett when they stocked far more clothes made in the British Isles than they do now and their aesthetic still resonated Britishness - they seem to have lost their way a bit in this regard. I like to wear it under a jacket with a plain white or blue button-down shirt underneath. Anyway, as we reclaimed Fair Isle sweaters from the comics in a previous post, you'll be pleased to know that Drakes London have some lovely options available.